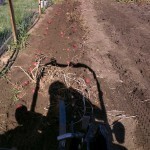 We had an excellent crop of potatoes this year and I wanted to find a way to dig them using my little tractor instead of tackling them by hand. 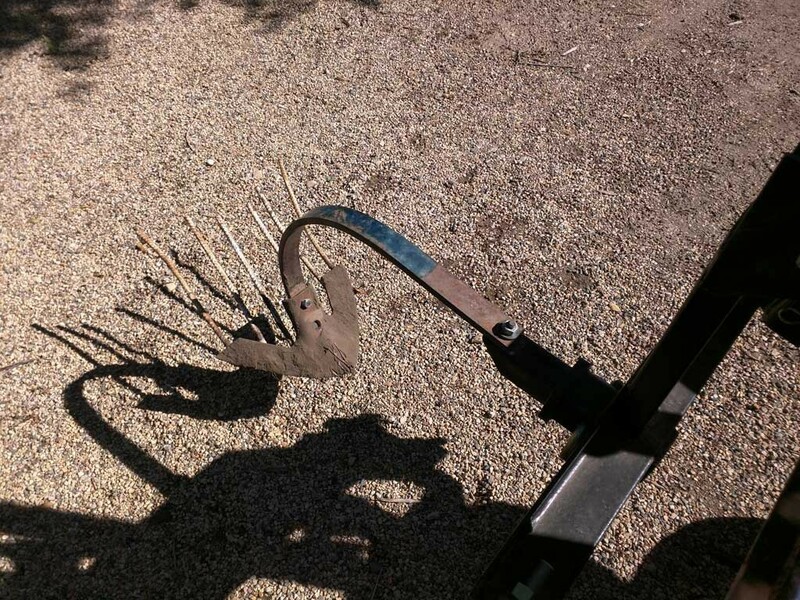 I ended up welding some metal rebar to a 16″ cultivator shovel top help lift the potatoes to the surface, and then mounting it onto the 3 point hitch of my tractor using a standard 2″ hitch receiver and an old cultivator shank. 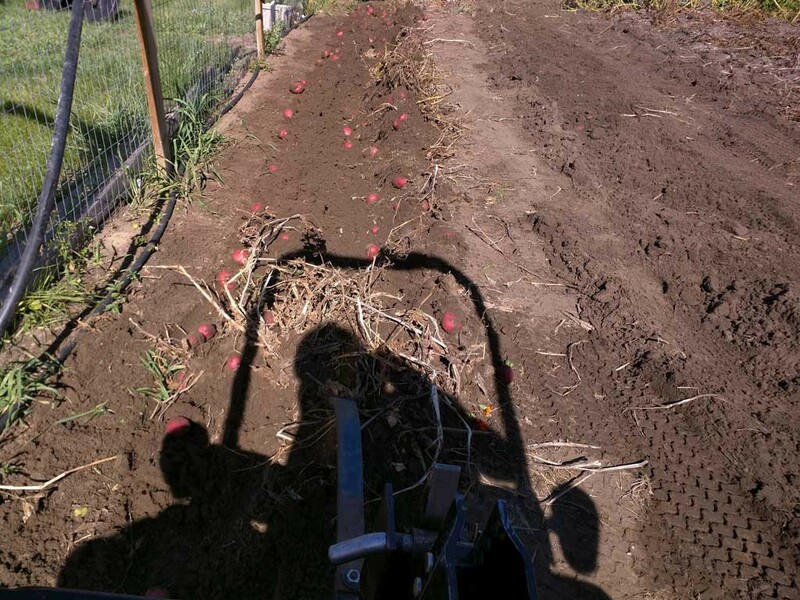 The basic steps are to cut around 14-16″ pieces of rebar, weld them to the bottom of the cultivator shovel and then bend them up slightly so it directs the potatoes upward. 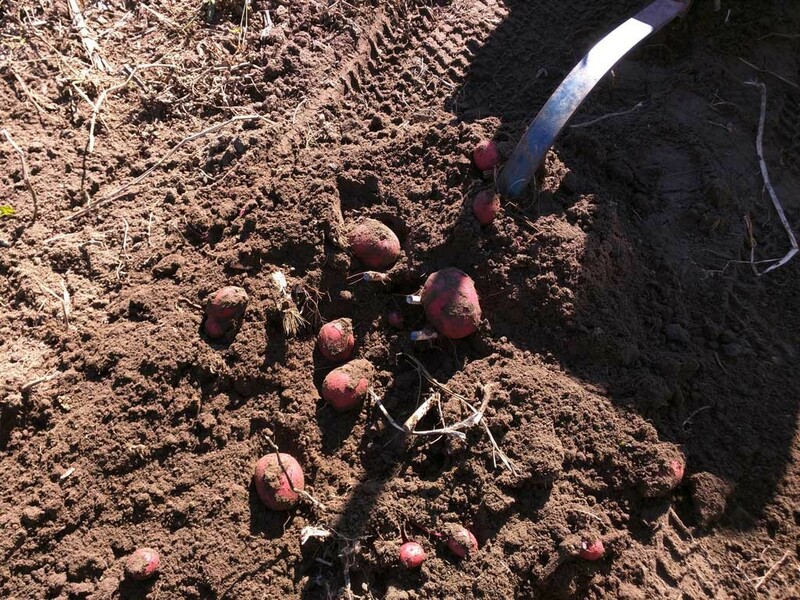 I had no cut or bruised potatoes. Not the prettiest thing I have built, but it works well.